At one time, during the battle of Uhud, Prophet Muhammad SAW was fiercely attacked by the enemy and two pieces of the helmet worn by him were stuck deep into his head (or face), Abu Bakr RA and Abu 'Ubaidah RA ran to help him. Abu Ubaidah RA started pulling out the pieces with his teeth. By the time one of the pieces was out, he had lost one of his teeth. Without minding this, he again used his teeth to pull out the other piece as well. He succeeded in taking out that one too, but he had to lose another tooth in the effort. When the pieces were pulled out, the blood began to flow out from Prophet Muhammad SAW body. Malik 'bin Sinaan RA , the father of Abu Sa'eed Khudri , licked the blood with his tongue. At this, Prophet Muhammad SAW said: "The fire of Jahanam cannot touch the person who has my blood mixed with his." 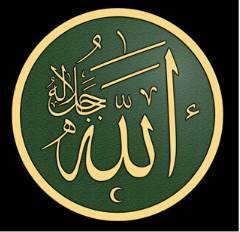 Abu Ubaidah bin al Jarrah RA – His love of the Prophet Muhammad SAW. By character and nature, he was very humble and modest. Amongst his friends, he was gentle and soft as silk. When it came to war, he was as hard as iron. During the battle of Uhud, he lost his two front teeth. It was within this battle that two of the iron links of the Prophet’s SAW helmet pierced his blessed head. Ubaidah bin Al-Jarrah RA pulled them out with his teeth. His integrity and honesty was unparalleled even amongst the companions of the Holy Prophet SAW. Compound of Maqam Abu Ubaidah Al Jarrah -Jordan Valley. Ubaidah bin Al-Jarrah RA was amongst those very first distinguished companions who had accepted Islam. He passed every trial and tribulation with flying colours. 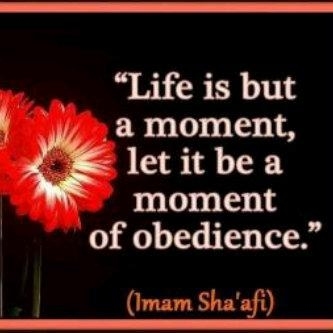 The difficult situations created by the Quraish were met with courage and patience. During these times of hardship, he and the other companions of the Holy Prophet SAW remained steadfast. 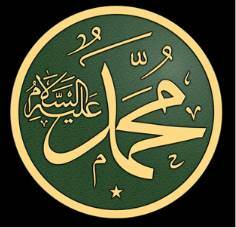 He sincerely and honestly recognized the authenticity and truth of the Prophet SAW was the Messenger of Allah Taa’la. He never gave any signs of despair. One of the greatest tests faced was at the battle of Badr, it was so critical that it is beyond human comprehension. Ubaidah bin Al-Jarrah RA advanced into the midst of the battle field, tearing his way in. This made the people run here and there, helter skelter. 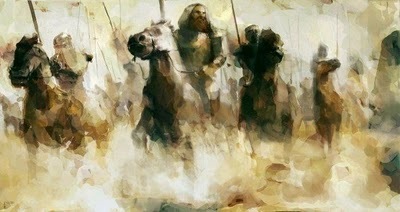 Everytime he advanced towards a person on horse back, they made way for him, but there was one man among them who would stand in front of him and challenge him, and try to attack him. 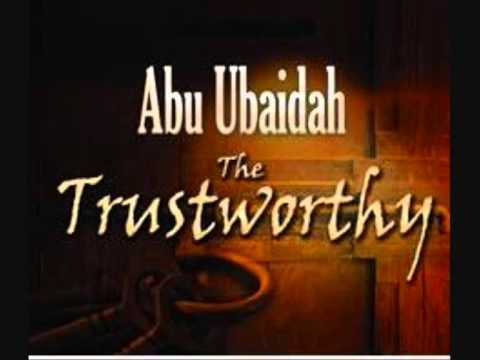 When Abu Ubaidah bin Al-Jarrah RA realised that this person was his father, he was stunned and shocked. 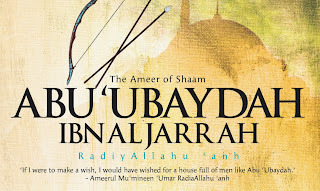 Hazrat Ubaidah bin Al-Jarrah RA was forced to attack him and he was removed from the face of this earth. Anything was possible for such people in Islam, nothing could stop them from believing in one Allah and his beloved Messenger Muhammad SAW. Towards the later part of his life, Abu Ubaidah bin Al-Jarrah RA took residence in Syria. Within this time a fatal disease of plague spread in the city as it had never before. People were affected by it rapidly. When Umar Farooq RAcame to know of this, he sent a letter with a messenger to Abu Ubaidah bin Al-Jarrah RA. He wrote in the letter that he had some important business with him, and he wanted him to make preparations and immediately set out for Madinah Munawwarah to meet him. He was not to delay. If the letter reached him in the morning, then he was to leave by night and if it reached him by night then he had to set out before morning. When Abu Ubaidah bin Al-Jarrah RA read the letter, he sorrowfully said that he knew what the important business was. Umar RA wanted to keep alive a man who was not born to live in this world forever. 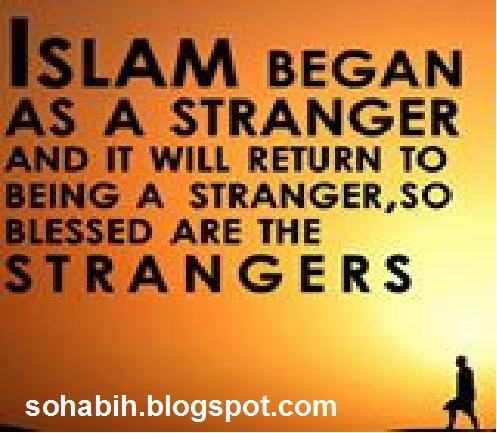 He then wrote a reply to the leader of the Muslims, Umar RA, after greeting him, he said that he knew what work he had for him and that the Muslims were facing severe problems, he could not leave them alone in this state, unless it was Allah Ta’la's will as He is the one who decides on their fate. Abu Ubaidah ibn Al Jarrah RA - On many battlefronts. Umar's RA statement turned out to be true and correct. A few days later, Abu Ubaidah bin Al-Jarrah RA was struck by the plague. He was a man whom was given the title ‘Aminul Ummah’, the trustee of this nation and during his lifetime on this earth given the glad tidings that he would go to paradise by the Prophet SAW. He was a very blessed man, indeed!